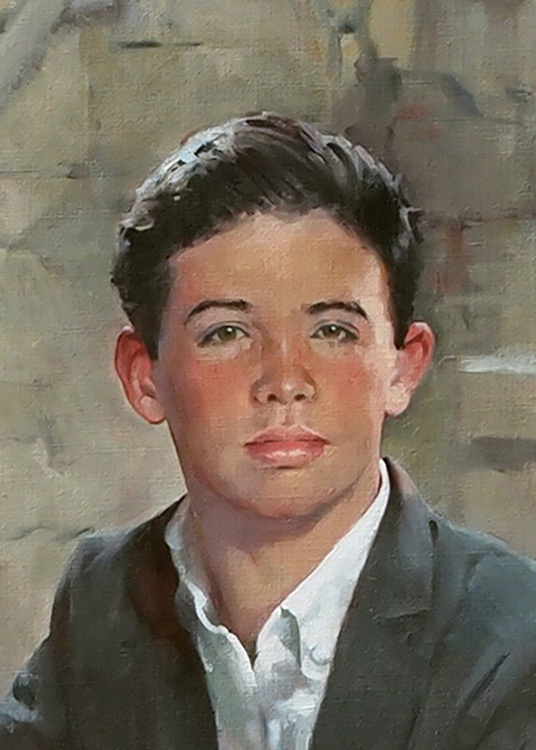 In 1973, Stephen Bone, a young New York lawyer, served as groomsman in my wedding to Elizabeth. 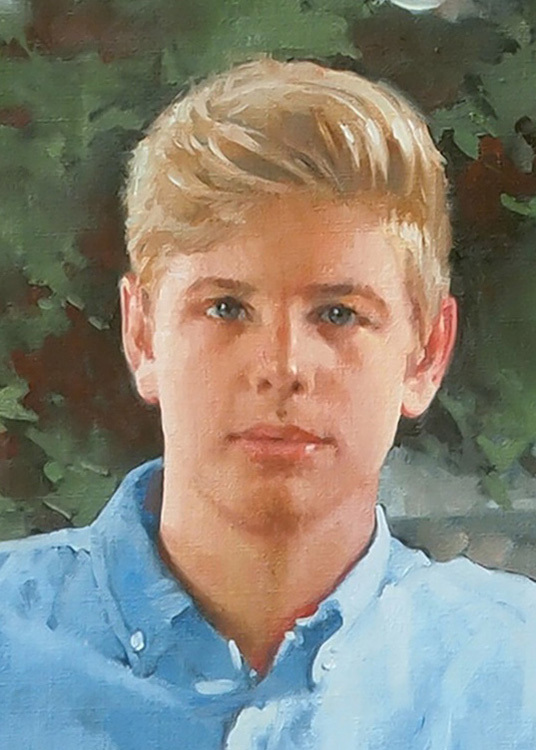 Forty-four years later, now hugely successful and living in Huntington Beach, California, Steve and his wife Patricia commissioned me to paint a double portrait of their handsome grandsons. 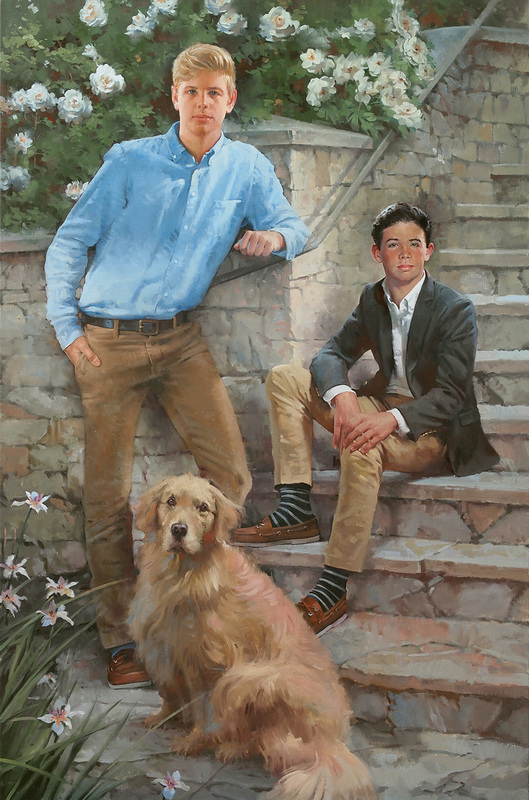 I traveled to beautiful Pacific Palisades, where the two young men posed for me on the steps of their home. The dog, Otis, assumed a prominent place in the composition, looking every bit as aristocratic as his young masters.